LifeWay Christian Resources is charting a new course in 2019 marking a strategic shift of resources to a dynamic digital strategy. 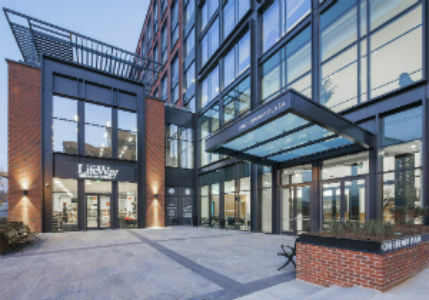 As part of the transition, LifeWay will close its 170 brick-and-mortar stores in 2019. The organization will continue to offer a broad selection of resources through LifeWay.com and the LifeWay Customer Service Center (800-458-2772). LifeWay Customer Service hours are Monday-Friday, 7:30 a.m.-5 p.m. (Central). LifeWay will also continue to serve customers through its network of church partners who work directly with churches. Munce Group announced today the formation of the Christian Retail Association Inc. (CRA) to its nearly 225 member stores. The group's president, Bob Munce, founded CRA as a nonprofit ministry to better serve independent Christian retailers. Munce Group also will restructure one of its regional trade shows, Christian Product Expo (CPE), into a national and international show called CPE International. The first CPE International will be held Sunday to Tuesday, Aug. 25-27, 2019, at Embassy Suites Nashville SE Murfreesboro in Murfreesboro, Tennessee. The show floor will be open Aug. 26-27. HarperCollins Christian Publishing (HCCP) also supports the new version of the CPE show. In a letter to vendors, Munce explained how the new association and upgraded show came to be. He said during the latest CPE, some top executives and company owners from the publishing, gift, music, services and distributor side of the industry asked him what he would need to take on this new responsibility and volunteered their support. Along with CPE International, the regional CPE will continue in Pennsylvania's Pocono Mountains in January (munce.com/cpe/upcoming-events). Both shows will offer retailer reimbursement and have a strong spiritual emphasis as they have in the past. Two key leaders at CBA, The Association for Christian Retail, have left the organization. The association’s president, Curtis Riskey, is no longer working at CBA headquarters in Colorado Springs, Colorado. CBA has not yet announced a replacement to lead the organization nor stated the reason for Riskey’s departure. 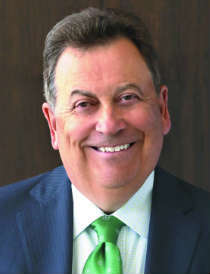 He had been with the association for 11 years, first as strategic solutions executive starting in 2007, advancing to the role of president in 2009. Familiarity breeds contempt” is one of those common expressions that appear to come from the book of Proverbs but fall well short of spiritual insight. I’d like to amend the expression and offer a cautionary exhortation: Expectation breeds contempt. Sometimes we see only what we expect to see. Many work teams are trapped in the zone of expectancy. Perhaps booksellers wake up every morning with dismal expectations. We look out of gloom-fogged windows and expect to see pieces of the sky littering the ground. Some ask, “What’s the use? There’s a giant in the field, and all we have is a slingshot and a rock.” Trade news is filled with data that suggest there’s little we can do to rebuild foot traffic. Convention exhibitors and attendees gather in hopes that others will join them to develop a plan to sling the shot heard ’round the industry. Some will suggest I’m waving pompoms for an “0 and 12” team. The coach’s home has a moving van parked in the front yard. No, the coach didn’t order the van; the fans did. It’s time for a new leader. Leadership in our industry has the opportunity to agitate acclimation. We must lead others away from their daily routine. Leaders must shake up artificial boundaries established by their teams and tear down those “falling rocks” signs. We must pull down the paradigms that hang from the rafters of the shop like last year’s backyard corn crop. Leaders must fight the gravitational effect of performance expectations inside and outside the store. Effective leaders continue to enlarge the performance arc. We must develop work teams who look beyond the problem in an industry full of opportunity. We need change agents to invite a few bulls into the bookshop. There’s no need to hold on to what isn’t working. Change must percolate from the ground up. I believe the only way we can attract new customers to our stores is with higher levels of customer service than ever offered in the industry. We need to rethink, redefine and revive what we do and how we do it. Revival must begin with leadership and emanate from everyone on the team. When I visited my favorite bookstore last week, I found nothing to revive. I didn’t bother to ask for the shock paddles for the heart of the store. It had flat-lined. Management just didn’t know it. I truly believe more of our bookstores close due to service issues than industry shrinkage. Which came first? Poor customer service or declining customer counts? Great customer service is marketing. It’s the best marketing. When we deliver memorable service, customers return. When I worked in broadcast television during my years in marketing consulting, I learned that most business owners have an inflated opinion of the customer service they provide. I met with over 1,000 business owners throughout my career. Not one time did an owner tell me they had a problem with customer satisfaction. Based on customer satisfaction research for most of those clients, customer service was a major problem, and owners were delusional. Maybe chasing customers away is a sign of a wildly successful business. We’ve all met people at a service counter who seemed too bothered to serve. Does your team dish out no-service stories that could be developed into Seinfeld scripts? Find ways to overserve at every opportunity. Do what others cannot or will not do. Exert every ounce of energy toward the delivery of a customer service level that exceeds any business in any industry. When is the last time you surveyed your customers? The truth might set you free. We cannot allow performance contempt to creep into our organization. It’s just too familiar. 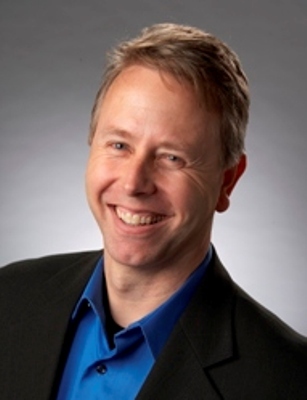 Dr. Steve Greene is publisher and executive vice president of the media group at Charisma Media and executive producer of the Charisma Podcast Network. His Charisma House book, Love Leads, shows that without love, you cannot be an effective leader. Follow his Love Leads blog and listen to his Love Leads podcast. CBA, the Association for Christian Retail, moved its annual convention to Nashville this year. The location, the Gaylord Opryland Hotel and Convention Center, along with significant funds given to CBA member retailers to pay for show expenses were factors that drew Christian retailers to the Unite convention. CBA reported that more than 1,700 people, a 10 percent increase over last year, attended the July 8-11 trade show. Representatives from 35 countries also attended. Although the gift section of the exhibit floor appeared to be full, some gift companies either did not attend Unite or went from one show to the next as Unite and the Atlanta gift show at AmericasMart overlapped. “For the most part, we sold out our booth space,” CBA President Curtis Riskey said. CBA is also in the very early stages of establishing strategic alliances and is challenging retailers and suppliers to look at the industry in a fresh way. Roush is also president of The Roush Foundation, which helped to organize and underwrite Unite 2018. 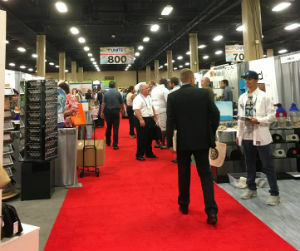 Most of the training at the show was offered free of charge for retailers, who took advantage of the opportunity to learn from inside and outside experts on retail topics. Riskey was encouraged by the increase. CBA brings Unite back to the same location next year, June 25-28.